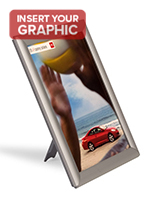 This quick clip metal sign frame is a wall mounted display that holds 11" x 17" graphics. 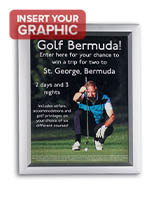 A metal sign frame, also known as a poster frame, offers a great way to display photos, pictures, and advertisements. 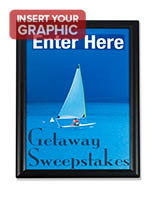 This metal sign frame has four hinged edges that open and close in a snap. Simply flip open the edges, insert your sign, and then snap shut. 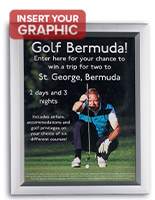 Each sign holder features a silver metal frame with a slim profile and a matte finish. 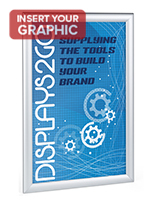 A clear PVC non-glare lens protects your graphics from damage. 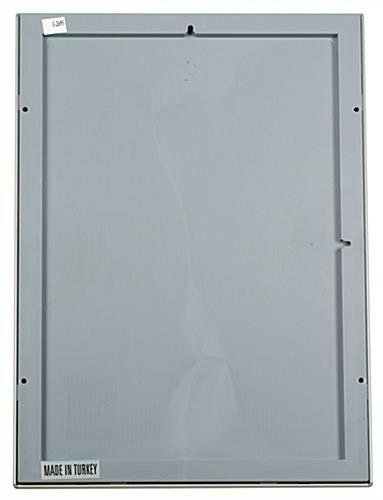 The back of each metal sign frame is made out of molded plastic. 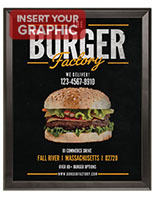 This quick clip metal sign frame can be mounted vertically or horizontally depending on your needs. Screws and anchors are provided for hanging. Clean! Fresh Look for Pictures! I love the snap frames they make our team head shots look crisp and clean. They are super easy to switch out from year to year. 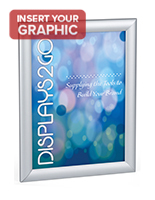 We use Displays2go for all our frame needs. We have purchased these Wall Sign Holders in the past for our Church and recently decided to purchase more for our Daycare expansion and we LOVE them. 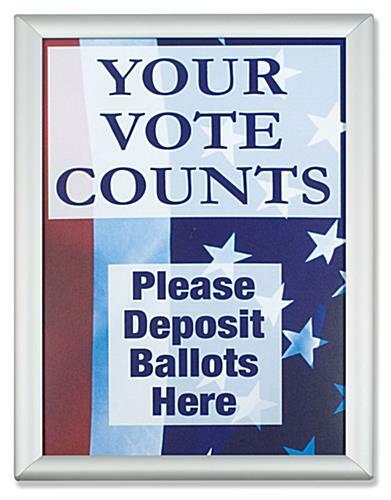 they have a great look, are super easy to install, easy to clean and are super simple to swap out posters. If we ever decide to get more I don't see us buying anything else but these. Thank you so much for the review Kaylee! We're so happy you are satisfied with the Wall Sign Holders! We use these 11 x 17 sign holders to display our exit maps, monthly statistics information, our popular monthly affirmations, etc. 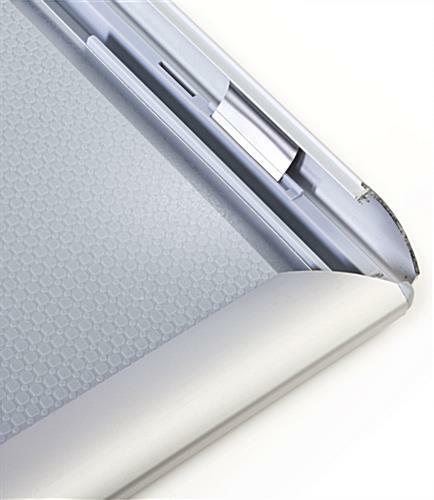 It has so many different uses and it looks great! This is the third order I have place through Displays2Go and I've been very satisfied with the design, functionality, and quality of the products I have purchased. Thanks! look great in our new hospital. Uniformity in our messaging is important.